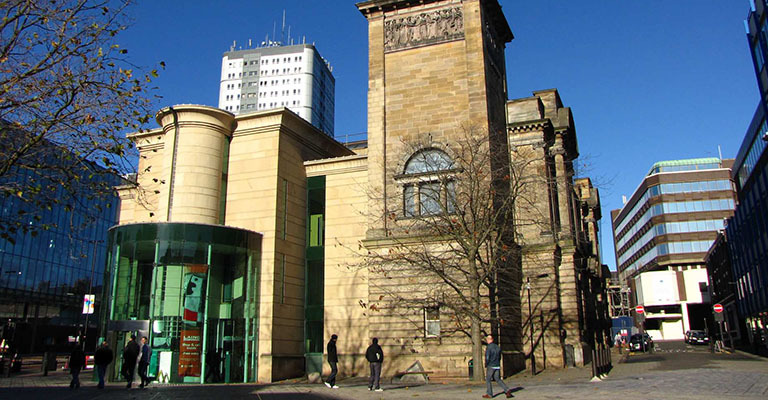 The Laing Art Gallery on New Bridge Street is home to an impressive collection of art and sculpture with it’s programme of displays and events renowned for bringing the biggest names in historic, modern and contemporary art to the North East. At the Laing Art Galley there’s always something to keep everyone entertained and informed, from exhibition talks, family friendly activities and artist hosted events. Many of these events, like the gallery, are free of charge. With an impressive permanent collection displayed year-round, you can enjoy dynamic landscapes by John Martin, sculpture by Henry Moore, plus much more. The works on show change regularly to show the impressive range of art in the collection so please contact the gallery if you wish to see a particular piece of work. Northern Spirit, a major new permanent exhibition celebrating the achievements of artists, manufacturers and makers from the North East of England opened at the Laing Art Gallery in October 2010, featuring internationally acclaimed art including work by 19th century painter John Martin, engraver and naturalist Thomas Bewick and the Beilby family of glass enamellers. The display also showcases local people’s photographs, films and stories. The Gallery has worked in partnership with the International Centre for Culture and Heritage Studies at Newcastle University to explore the relationships between art, identity and place. Information on the artworks and local stories are presented on touch-screen computers and an interactive map of photos and information provides an ever-changing picture of art and contemporary culture in the North East. The Gallery also has a shop and cafe. Entrance to the museum is free, making it a perfect family event that doesn’t need to break the bank, and with an ever rotating programme of curated works, it’s the perfect choice year round.